Join co-hosts Danna & Tiffany as they talk with special guest, Holly J. Bertone. 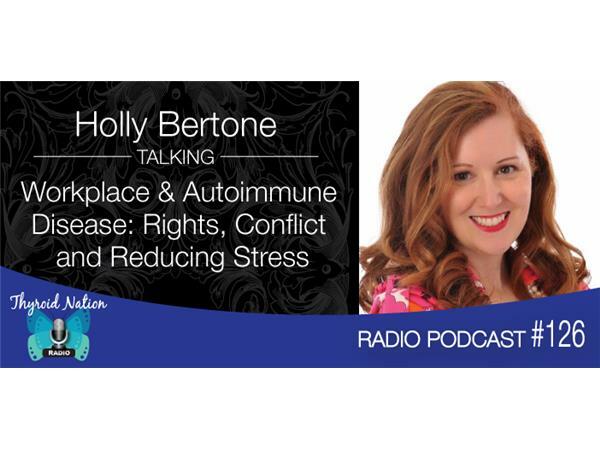 She is a #1 Amazon bestselling author of the book Thriving in the Workplace with Autoimmune Disease: Know Your Rights, Resolve Conflict, and Reduce Stress. She is a highly sought-after speaker and wellness expert. Holly is a breast cancer and Hashimoto’s survivor and turned these two significant health challenges into a passion to help others.